In a large bowl whisk together the pudding mix and milk for 2 minutes. Add cool whip, oreos and marshmallows. Stir well. Refrigerate until ready to serve. Here is the Weight Watcher version of this recipe. 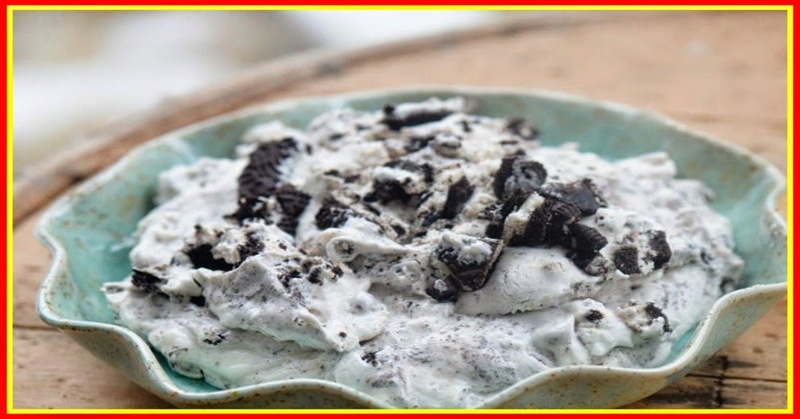 Mix the pudding mix with the cool whip and fold in the crushed oreos.